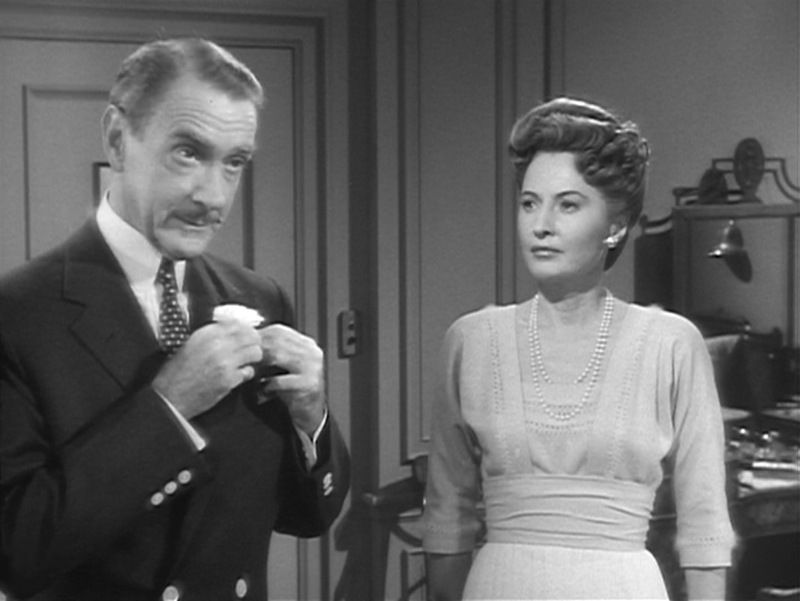 Released 66 years ago tomorrow, 20th Century Fox’s Titanic focuses more on the personal drama of the fictional Sturges family: pretentious and aloof patriarch Richard (Clifton Webb) and his strong-willed, responsible wife Julia (Barbara Stanwyck) who tries to protect their children from taking after their profligate father. 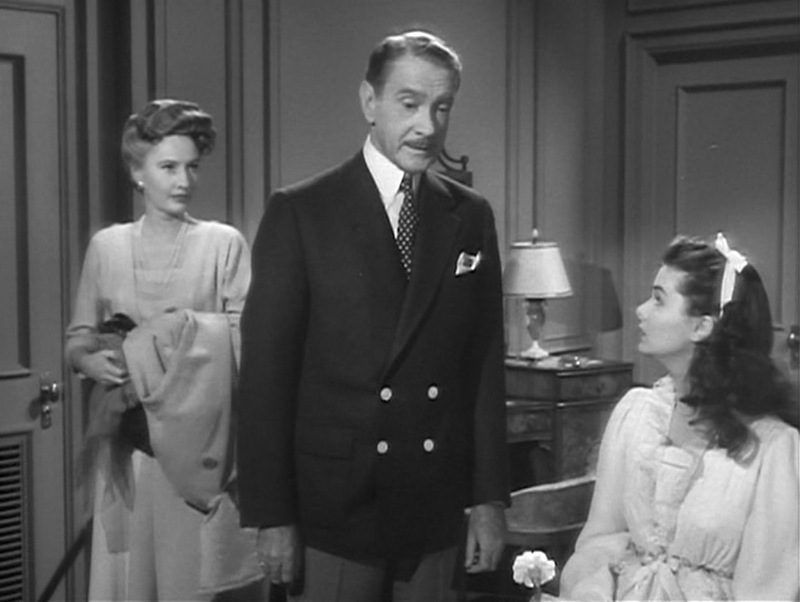 Cut from the same cloth as his wickedly snobbish Waldo Lydecker character in Laura, Richard Ward Sturges delights in his children’s obvious preference for him as he showers them with a decadent lifestyle that would no doubt spoil them as adults if not for their more practical mother’s interventions. Though a hardly technically accurate depiction of the ship or its sinking, the filmmakers still put admirable effort in to bringing the Titanic to life for its audiences as the backdrop for the Sturges family drama, re-stirring public interest in the disaster that would aid the decade’s release of A Night to Remember (1958), the exceptional cinematic adaptation of Walter Lord’s well-researched account of the sinking. 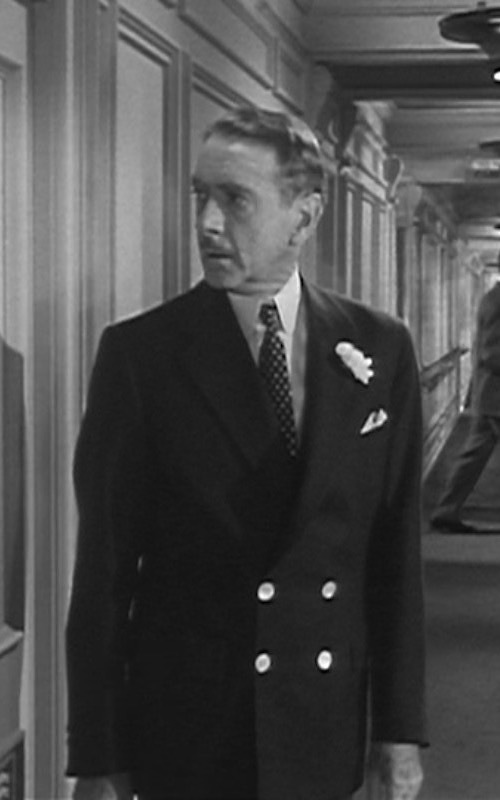 Thanks to the ship’s tailor shop (an invention of the filmmakers), Richard Ward Sturges can walk the decks of the Titanic with dignity without having to wear the same three-piece business suit he boarded in. For the evening, he naturally has an immaculately tailored black tie kit, but the afternoons call for a more leisurely ensemble of a timeless navy blazer with tie and gray flannel trousers. Classic though the look may be, it may still have been too informal for a man of Richard’s standing in the late Edwardian era though far more acceptable in the decades to come. The family Sturges, sans youngest child Norman. Richard’s dark navy wool blazer appears to be doeskin, a medium-weight woolen flannel with a tight weave that adds extra warmth while walking the breezy decks of a ship and keeps the garment surprisingly durable despite the cloth’s soft nap. His ventless blazer closes in the front with two of four mother-of-pearl sew-through buttons in a square, double-breasted formation, a nautically appropriate look that nods to the traditional reefer jackets worn by naval officers. The three buttons on each cuff are downsized versions of those on the front of the blazer. There are flapped patch pockets on the hips and a welted breast pocket, where Richard wears a neatly presented white linen pocket square. This particular double-breasted blazer has notch lapels, an unorthodox but not uncommon combination that indeed dates back to the earliest days of the contemporary lounge suit, though it enjoyed its greatest mainstream acceptance during the “power suit” era of the 1980s. He dresses his left lapel with a fresh white carnation. Richard’s white shirt includes the most period-specific detail of the entire outfit, a stiff, detachable rounded club collar with narrow tie space. He wears a dark polka-dot tie with a four-in-hand knot. Richard stiffly smirks with pride as his children mimic his own snobbish behavior. Richard’s practice of keeping his blazer fully buttoned prevents us from seeing more of the outfit, though he wears gray flannel trousers with turn-ups (cuffs) on the bottom that break cleanly over his black patent leather oxfords, worn with black socks. A peaked cap adds nautical panache with its dark navy cloth cover and black patent leather visor. Like a true gentleman, Richard only wears his hat while outdoors. 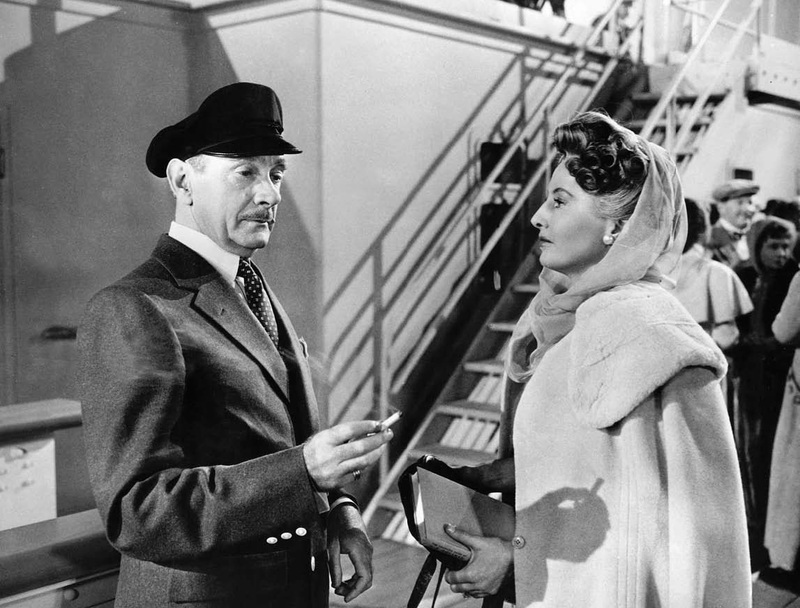 Production photo of Clifton Webb and Barbara Stanwyck in Titanic. 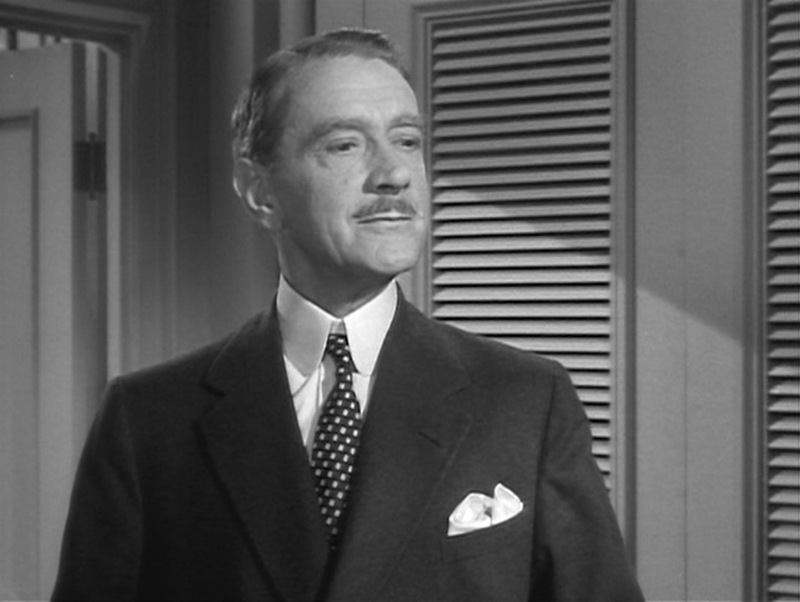 Per Clifton Webb’s real-life practice, Richard wears a pinky ring on the little finger of his right hand. 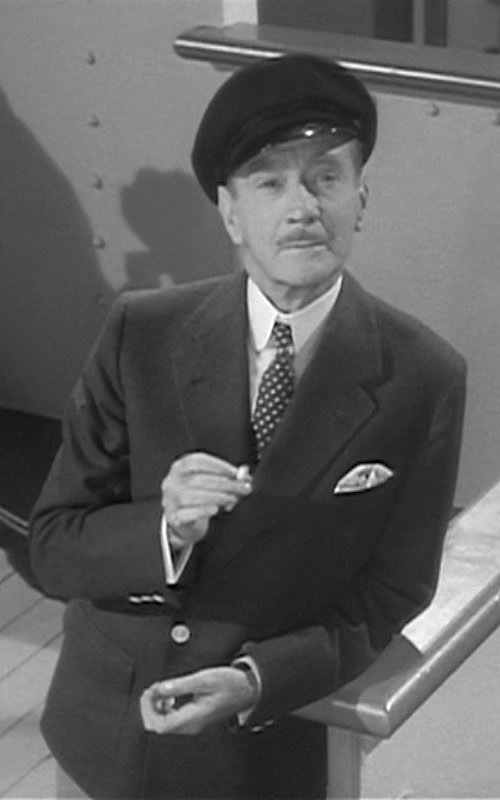 A man who prides himself on his dignity like Richard Ward Sturges would naturally be perfectly dressed for any situation, be it a tweed hacking jacket in the country, a traditional dinner jacket for the evenings, or a nautically inspired navy blazer for an afternoon at sea. May I bone your kipper, mademoiselle? Interesting 50s take on Edwardian fashion. 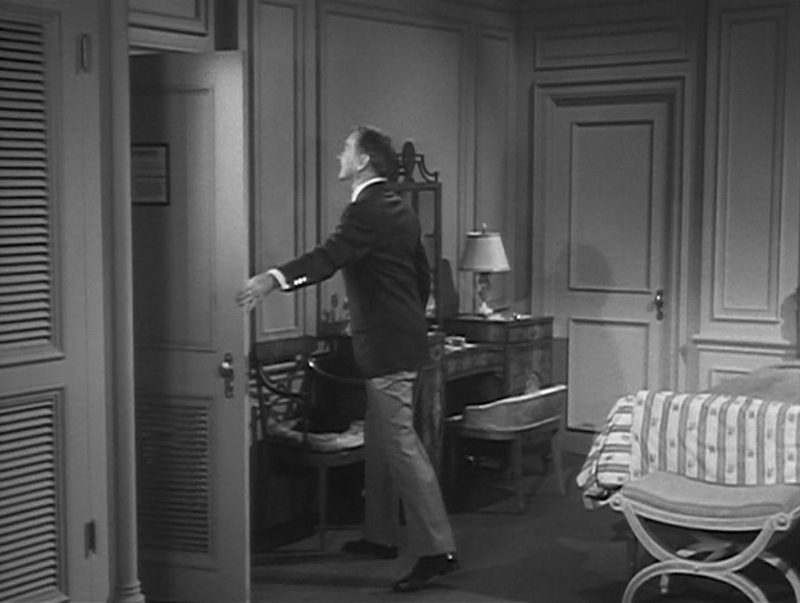 The clothes of Waldo Lydecker in Laura might be worth a post or two, too. “May I bone your kipper, mademoiselle?” is that a real quote?